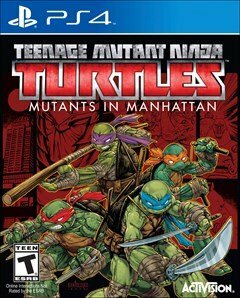 By the time I got my review code for Teenage Mutant Ninja Turtles: Mutants in Manhattan, the review embargo was a distant memory and for the most part, the game was universally disliked. 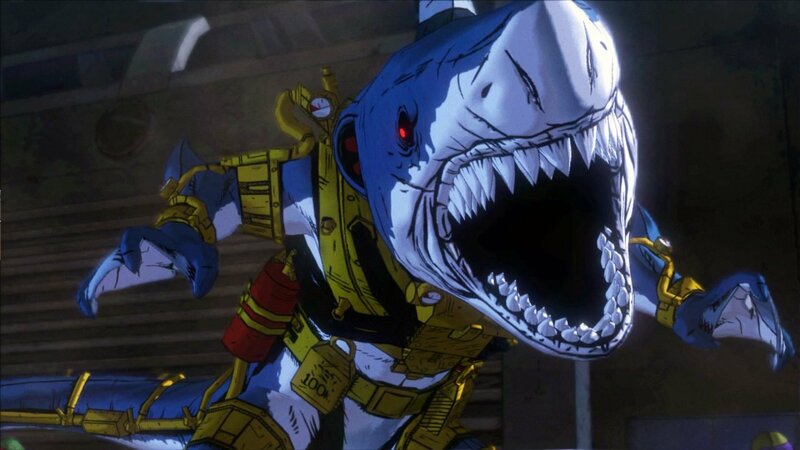 However, it’s a title based off a property I adore, developed by one of my favourite studios (Platinum Games) just months after they injected their own flavour into the Transformers series in Transformers: Devastation. There was no way they could mess up that same formula with TMNT, so I ignored the negativity. Now that I’ve played the majority of the game’s four-hour campaign, I can admit that I was wrong—this title has some serious problems. I tried really hard to enjoy my playthrough but the further I ventured into the campaign, the more I realized this game needed more development time. At its best; Mutants in Manhattan is an okay game, and it has moments where it can be really fun. It’s a 3D brawler; a genre Platinum Games perfected last generation with 2009’s Bayonetta and Mad World. The twist here is an emphasis on squad based action instead of playing as a lone destroyer. You control all four heroes in a half-shell and each plays a little differently. 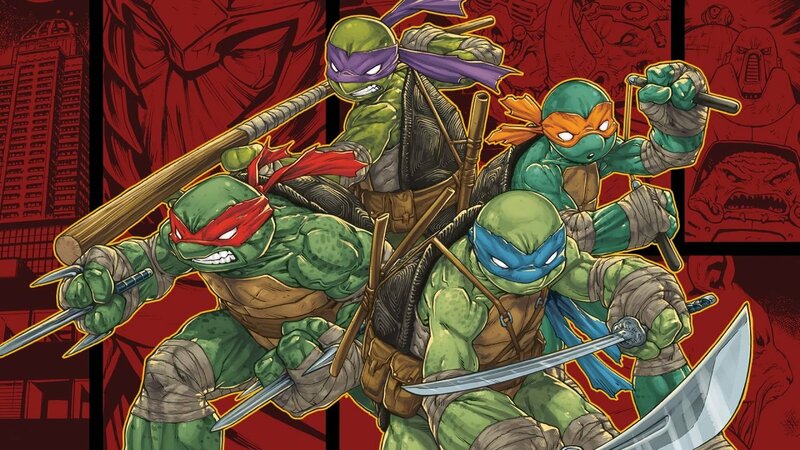 Leonardo is the all around basic archetype, Raphael is the heavy brawler, Michelangelo is the fast agile speedster, and Donatello is… kind of there, I guess. To be honest, aside from Mikey, I didn’t notice much of a difference between any of the characters. Regardless, you never stay as the turtle you initially pick. It’s encouraged, and even essential, to switch through your party to keep things fresh and use each character’s much needed special powers. Each turtle gets his own loadout where you can change, level up, or purchase Ninjistu moves (or specials). Each turtle gets four, so finding the right moves to work with your play style and dispersing them across the team should be important—but it’s not. Since the game isn’t really difficult, I didn’t need to tweak the loadout aside from the occasional upgrade. The missions themselves are pretty odd. You choose the villain you wish to face and you’re dropped in an area where you complete random smaller quests until it’s time to reach the big bad guy. In many ways it reminded me of old Platinum titles like Mad World or Anarchy Reigns (which is not as bad as people claim) where the chaos kind of unfolds as you play. The issue is, much like Anarchy Reigns, that the combat begins to feel repetitive, making the missions feel longer than they really are. This isn’t a game that kept me hooked for longer than 15 minutes at any given time. It’s disappointing because on paper, this concept is great. 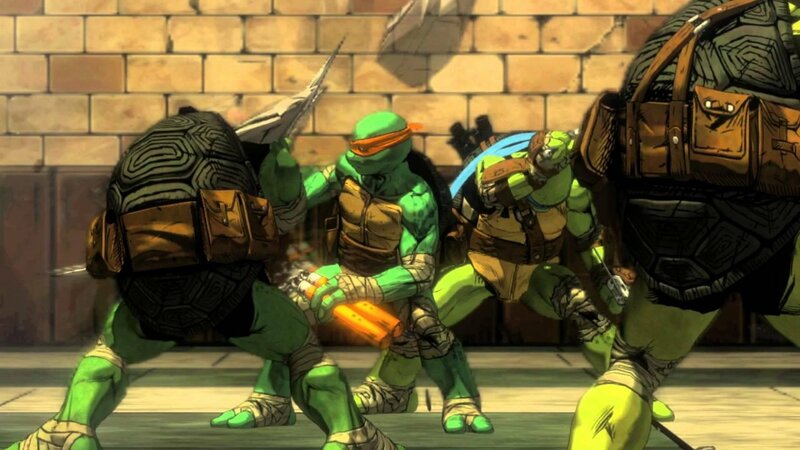 It’s a fast paced arcade style beat ‘em up where you can switch through each of your favourite turtles while taking out the Foot Clan and occasionally gang-beating famous villains from the franchise. But in reality, it doesn’t quite work that way. Yeah, you go through New York hitting ninjas with things, but you’ll fight with the camera in close quarters and miss out on some of the hilariously stupid AI. That goes for both your enemies and friends. Your squad, unless set to “follow me”, often runs off and does whatever they feel. I witnessed my team run to the side of a building, jump up and down, steal my kills, and generally do things that were the opposite of useful. Enemy AI is a whole other level of stupid. I caught some staring, intensely, at walls, and I was able to “stealth kill” Foot ninjas who were looking directly at me. The only real difficulty comes when they send hoards of baddies at you, but even then it’s quite manageable. What is completely unacceptable, however, is that bosses do not follow the rules the game makes for itself. For instance, I witnessed Karai, one of the bosses, run through a steel pillar I couldn’t walk through. In that same boss battle, many of my special moves had little to no affect on her. It was frustrating to say the least and there were issues like this in every battle I encountered. The game isn’t without its charm, however. Underneath this flawed execution lies an idea bursting with potential. I almost want to believe that publisher Activision rushed the release ahead of the Out of the Shadows movie. The art style is probably my favourite of any game this generation. Much like Transformers: Devestation, artistically, the game harkens back to the series’ roots. Unlike Transformers, TMNT began in comic books, and the game looks just like it. There’s also a nod to the new Nickelodeon series where, for what feels like the first time, each turtle has his own unique look. Mikey is a little smaller, Donnie is tall and lanky, Raff is a little more muscular and Leo is the medium sized one. From a fidelity standpoint there is a lot to like. I just wish a little more time were put into this. I can see the game Platinum wanted to make, but failed to deliver. There is a framework for something good but it’s not all there. With so many glitches, dumb AI, and straight-up unfair points, the game is a mess and doesn’t feel like a finished product. 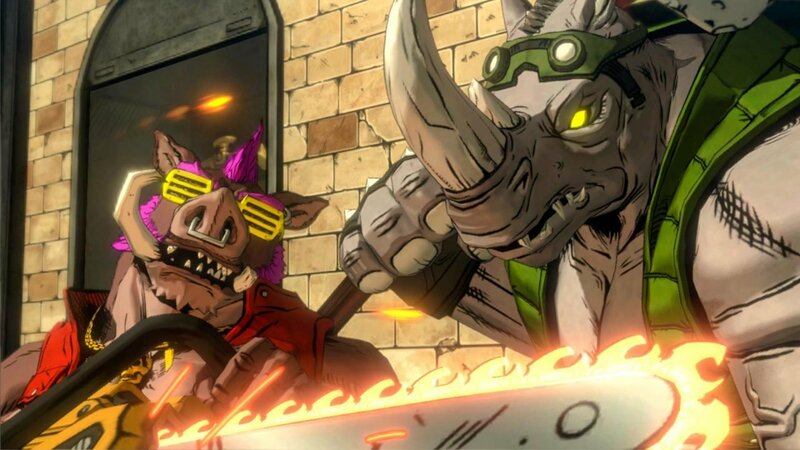 As a card carrying Ninja Turtles fan, and a gamer that adores Platinum Games, I expected much more. What we get though, just barely passes as reasonable even for non-fans. Maybe, if they’re given a second shot, Platinum can get it right, but I’m not sure I want to give them that chance at this point.